Forex trading is mostly about method and discipline, if you do not have a strategy or discipline to follow it strictly, you are exposing yourself to potential heavy losses that can wipe out your account sooner than you may think. Consistent profits without having a trading strategy in place are almost impossible. A very important thing to remember here is that no matter what strategy you use, you are bound to see losses every now and again, not even the most successful traders have 100% success rate. The key is to find a strategy that has a higher winning ratio and use it together with effective money management. A trading strategy is a system designed with the help of a variety of technical analysis tools to determine your entry and exit points. Having a trading strategy means setting rules and parameters for executing a trade, following that strategy; you only execute a trade when the price movement adheres to the rules and parameters of your strategy. A good strategy is one that can produce clear signals without relying on outside factors to determine the validity of those signals. A good trading strategy would also insure that you have a risk-reward ratio that can keep you in profit zone even if you lose a significant percentage of your trades. Minimum acceptable risk-reward ratio is 1:2, which means risking $100 for a target of $200. This way, you’ll still be in profit even if you lose one trade after each winning trade. While 1:2 is acceptable, a good risk-reward ratio would be 1:3 at least, which is easily attainable with a good trading strategy. Coping with a series of losses is the most difficult aspect of forex trading and this is where many traders are vulnerable to letting emotions into their trading decision. When you refuse to exit a losing trade, it’s your emotions that are keeping you from dealing with a loss; this may incur losses that would require a substantially long duration to revive from. This is why a trader must have a trading strategy that would dictate their trading decision in order to keep the emotions out. Another benefit of having a trading system is that since a system is already optimized you do not need a lot of time to analyze the market before you could initiate a trade. Major trading platforms also allow you to automate the system to generate signals further simplifying your job and reducing the time required to execute a trade. When you start forex trading most people would talk about why you should trade forex, they will tell you how you can benefit from leverage and compounding starting with such a small investment and how forex trading can ensure stable profit and accumulate huge wealth in the long run. Few people out there would emphasis the dire need to learn the art of trading. In this article we will explore some of the learning factors that would guarantee a successful trading career if you understand them properly. You probably have heard this before, discipline alone can ascertain success, just as the lack of it can guarantee a horrible trading experience. In trading discipline means following your methods and strategies strictly without any exceptions. This one is a killer. Everyone knows how emotions can devour your profits faster than you can imagine, yet it takes a good long while for most traders to finally learn this fact. Many beginners give up on the idea of trading simply because they couldn’t keep their emotions out. It is of utter importance that a trader learns how emotions can be kept out of trading. When I say positive attitude I don’t mean it as in “law of attraction”. What I mean by positive attitude is that you must be willing to learn and adhere to whatever is necessary to achieve success in forex trading. For example, a right trading strategy would guarantee a good trading performance, but it is positive attitude that would enable you to do the necessary to learn and establish the right strategy. Developing a good trading system is crucial for long term success in forex trading. It can be complicated to devise a consistent trading system, to insure that a trading system works the same under different market conditions it needs to be tested for a long period of time. Back-testing can give you a good idea whether a system is workable or not, but simulated trading results are not always reliable, that is why you need to use a system with live trading in order to test its consistency. So you have taken a loss. Okay, let us say you have taken an astounding loss. What now? It is not the end of the world. Now comes the part where you rise above the colossal mistake you have made in forex trading. Know you have made a mistake and it is a fact. Stop blaming anything or anyone else. Owning up to a mistake is the start. The sooner that you realize that mistakes can be made and will be made, then the sooner will you get back into the game. Now what went wrong? Got it? Good. Every mistake is a learning experience. Even if the reason you realized is your own arrogance, greed, or some flaw in your calculations or in your strategy, there is something to learn. At least you know what not to do next time. The forex market is not as unforgiving as you might think. It is a place of chance and opportunity. Now you know the flaw in your strategy, reassess if you would change that part alone or totally try a new path. Failure gives us the chance to look at our plan from afar, to give us a bigger picture. If the problem seems to be your fear of losing or a system that does not fit you, you can easily see a better and new approach once you open your mind to them. Assess the effects of the mistake. What are the changes from your previous situation? You may find that you are not that worse off after all. You might be overacting a bit about the situation. However, if the mistake really has far-reaching effects, then better to list them. This way, you can asses which effects can be remedied and which you can do nothing about. For example, you may have lost some investment, but if you can see chance of recovering it, you will discover if it is feasible or not by listing the pros and cons. Perhaps you lacked discipline before. Then now is the best chance to wake up and make a solid system where you will base all your decisions. Learn the tell tale signs of the errors you have made so you can avoid them. Not only will a systematic approach make you more confident in making trades, but also lessen the work you normally do. I know it is easier to say, but really best thing to do is be stubborn and get back in the game. They do not call forex trading the perfect marketplace for nothing. If there is currency dropping somewhere, then there must be a rise somewhere too. There is always a chance for profit. Think that if your tread the balance of taking the right risks and being conservative at the right time, then success is not too far. As a last thought, think about the fact that you are not alone. Somebody else somewhere has made a mistake before you. In fact, those who have tripped are probably the ones enjoying success now. They have learned their lessons from failure. They have shrugged off the stigma of a loss based on just one fatal mistake. Forex trading is difficult and challenging yes, but you are always welcome to try again and again. 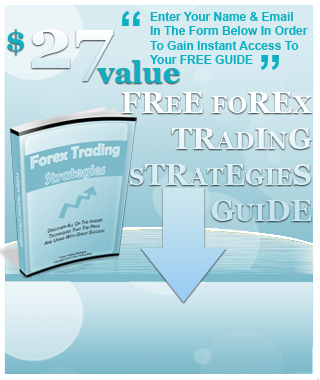 Aside from signals, you can use another equally useful instrument in forex trading. Options can mean a world of difference when used wisely. What is an option? Essentially, an option is an agreement or contract that gives power to trade currency at a pre-determined specific price. It is called such because this power is optional- the holder of the contract is not obligated to use it. Call options gives the power to buy currency at a specific price. It increases in value when the underlying stock goes up. In a nutshell, what you need to do is to buy call options on a stock when you predict its price is about to go up. Put options, on the other hand, is the power to sell the currency to someone else at a pre-determined price. You buy Put options if in your prediction, the stock of that currency is about to go down. Here is the point: you buy or sell the stock to make a profit by buying the options and then selling them in turn those options to someone else for a profit. At the end of the contract, the value of those options will be what is indicated in that contract. Other than that, anytime the value of that option is the value in the current market, where the holder has deemed that he would be making a profit. He has foreseen that his call options would go up and/or his put options will go down. It may seem complicated at first, but it will all make sense once you get the principle. Remember that call options go up and put options go down. Now add the concept of leveraging to the idea of options and the possibilities of profit would be staggering. Leveraging is the chance to borrow your broker’s assets to trade for currency. So in effect, if you can buy put options at the right time, and sell them at the right time, your profits would greater. Companies also use options to lower the risk in forex trades. Think of it, you can buy without being bound by the rules of the current fluctuation in the market. It just adds a new dimension to forex trading. Whether the underlying stock moves up or down, there is possibility for profit. Add to that the power of leveraging, and then we can make more profit. This only works if we can correctly call the movements of the currency stocks in mind. And this is only the tip of the iceberg. The idea gets more complicated as we compute the intrinsic values of the stocks and how companies use options to protect themselves from risks. Nevertheless, the basic principle remains the same: by trading options instead of stock, bigger returns are possible. On the other side, leveraging can also put you in a big risk. This is why you have to have a sound forex trading strategy first, and you are confident enough to call the movement of the stock values. Once you are ready, then the possibilities of huge profits will all open for you. Learn more about options and the flow of forex trading; they will be your prime weapons to attain market success.